Today, at 6pm, I was invited to Pinewood in Los Altos Hills to give the commencement speech at their 8th Grade graduation. I graduated from Pinewood junior high school in 1987, so it was somewhat of an honor for me to be asked to come back 23 years later to speak to the graduating students. I wrote the speech last night (on an iPad) at the local Starbucks. After a number of twitter questions, youtube searches, and other research, I decided to adopt the high level framework from Steve Jobs 2005 Commencement speech at Stanford, replacing his stories with my own, and adding my own form of 8th grade humor. I did stick with his “dots” lesson, but you can see I changed the lesson from it quite dramatically. Overall, quite a few people seemed to enjoy the speech, as a number of the students, parents and faculty came up to me afterward. It seems like the students liked the jokes at the beginning, while the parents liked the third story on painting behind the refrigerator. While I ad-libbed a few jokes, the notes below are exactly what I brought up onto the podium with me. Let me know what you think. I have a wife, 3 beautiful boys, and two really fat dogs. I am an executive at one of the cooler technology companies in the Valley right now. It is part of my job to buy and play with every single new tech toy that comes onto the market. Yes, it’s true. It’s my job to get the iPad the day it comes out. Yes, I get paid for it. Wasn’t sure what to speak about. Fortunately, they have this thing called the Internet now, and it’s pretty good. I have over a thousand followers on Twitter, so i asked the for ideas. I searched YouTube. Poked around Facebook. Even asked my younger cousins, who are in junior high now. Not surprisingly, the ideas were spectacularly bad. Some people said I should include a lot of quotes from Family Guy. I did a search and found over 768 funny quotes from Family Guy. I’m 99% sure that literally none of them are OK for me to say out loud here. Other people said I should ask the girls whether they are on Team Edward or Team Jacob. I don’t really even want to know what that means. I got a suggestion to talk about video games. Apparently, Splinter Cell: Conviction is just awesome. While that’s probably true, I’m not sure what to tell you about games except that you should treasure these years – once you have kids, you pretty much have until the age of 7 and then they start beating you. Apparently, a lot of people think it would be funny if I gave a lot of advice to the boys in the class about girls. Unfortunately, I still don’t understand high school girls, so not much help there. Girls, in case you are curious about high school boys, all you need to know is that they really don’t mature much from here. Don’t overthink it. Anyway, since none of those ideas panned out, I decided I would cover three stories today and keep it relatively short. There are a million little things that make you, you. Don’t ignore them. When I was little, i loved numbers. I used to punch 2x2x2 into the calculator until it got too big for it to display. Yes, I know that I am not normal. I’ve always been a geek. But who knew that knowing all the powers of 2 would be a uniquely valuable skill when it came to computers? Hobbies are good. You’ll be surprised where they’ll take you. I collected baseball cards and coins. Yes, I’m a dork. At the time, I had no idea that I’d end up at business school, and that I’d have a natural sense for markets and trading. I also had no idea that 20 years later there would be a company named eBay, or that it would do $60 Billion in sales. I also had no idea that I’d end up working for that company. Steve Jobs said a few years ago that a lot of life is about connecting the dots. The wonderful thing about high school is that you are still busy adding dots to your picture. You’ll spend your life connecting a lot of these dots, but it may not be for years or decades. Don’t let anyone discourage you right now from learning and investigating. If you find something interesting, don’t let anyone tell you that it isn’t worthwhile or cool. Pursue your hobbies, and do them deeply. You’ll be constantly surprised later at how your life connects the dots. Lesson 1: Draw lots of dots. In my senior year of high school here at Pinewood, I was a starter for the Varsity Volleyball team. This was a big deal for me, largely because I wasn’t actually always good at Volleyball. In fact, when I first tried out for the team my sophomore year, I didn’t make it. (The fact that I was 5’3″ at the time may have been a factor). I made the team my junior year, but mostly as a substitute. But I practiced. 2 hours a day. Extra trips to the gym, practicing against the wall, etc. I didn’t make starter until senior year. There are two types of skills in this world: ones where you’ll have natural talent and ability, and ones where you won’t. Everyone is different, and I was pretty fortunate to be naturally talented in a bunch of areas. But there are far more things out there that you won’t be naturally gifted at. Don’t limit yourself to the things you’re good at. Everyone is afraid of looking foolish, and that keeps a lot of us from pursuing things that we’re interested in, but that we’re not immediately good at. Don’t fall into that trap in high school. If you are interested in something, don’t just try it. Do it, and do it well. Pushing forward and mastering something that you’re not naturally great at gets you way more than just a skill. It teaches you persistence and diligence. More importantly, it gives you the confidence to learn and do anything. It also teaches you to not take your talents for granted, and how special it is when you *do* have a unique gift in area. Lesson 2: Don’t limit yourself. Lastly, I promised to tell you about painting. I’ve always liked to work with my hands, and now that I have a house, I’m always doing something to it. When you paint a room, like the kitchen, you always reach a difficult point – do you paint behind the refrigerator? But in the end, there are good reasons to paint behind the refrigerator. Some of the worst things that important people have done in the past decades have been because they thought they could get away with cutting either legal or ethical corners when no one was watching. Many of you will turn out to be important people someday, and like they say, practice makes perfect. Lesson 3: Be the type of person who paints behind the refrigerator. Congratulations to you all. Thanks for having me here today. Take care. A couple weeks ago, there was a great reunion party for many eBay Product Managers & User Experience Designers from the past decade. I didn’t get an exact count, but at least 70 people were there, including many of the early Product Managers from before I joined the company in 2003. I was happily reminded of an event that I absolutely would have shared on this blog at the time – if I had been writing this blog at the time. It seemed worthy of a posting now, three years later, especially since it comes with some dot-com bragging rights. The event? 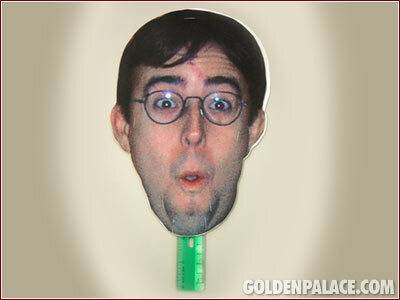 The time I sold a Leonard Speiser mask to Golden Palace Casino on eBay for $400. The auction was put up in May, 2005, shortly after the official “going away” party for Leonard, which we held at the Tied House in Mountain View. It was a large event, and we took up the back room. There was food, drink, and the requisite roasting of Leonard “see attachment” Speiser. (We’re not rolling back, we’re rolling forward!) It also included infamous video from a particular usability test, on permanent re-run. It was a fun time, and as party favors everyone was given these hand-made copies of Leonard’s face, taken from his Halloween rendition of Harry Potter. They were just color copies, stapled onto rulers. On a lark, I listed one that night on eBay, hoping to raise money for his going away present. I had recently launched the first version of eBay Pulse, a popularity page ranking queries, stores, and most watched items on eBay. (There is actually a patent pending on the latter). Through a grass roots email campaign, I got a sufficient number of eBay employees to watch the item, propelling it onto the “Top 10” list for most watched items on eBay. At that point, Golden Palace Casino found it. At the time, they were buying up crazy items on eBay as a form of PR, starting with the famous Virgin Mary grilled cheese sandwich. Yes, I know the memories are coming back to you now. A handheld sign, made from a ruler and a cut-out of Leonardï’s head, was sold on eBay for $400.00. 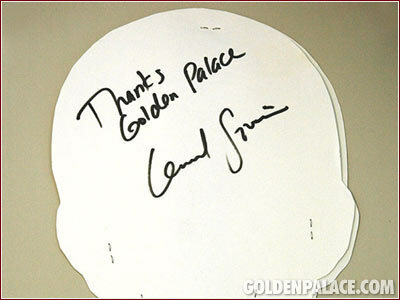 GoldenPalace.com bought the item, which was made for Leonard Speiser, an eBay Product Manager who was leaving his job. In order to raise money for the send-off party and roast, the sign was auctioned off on eBay. The sign has staples in it to roughly make a slot for the ruler, which you use to hold it up. Itï’s funny to see actual eBay employees putting items up on eBay, but we are assured that: “this listing in no way, shape, or form represents any type of official eBay business. This listing is purely a loving gesture for one of the truly great members of the eBay community.” Leonard will apparently be greatly missed by many, and they are trying to raise money for a going away present, to be given to him at the party. All the online casino got for their money is the sign and ruler; nothing more, nothing less. Leonard Speiser went on to found Bix.com, which was acquired by Yahoo in 2006. Leonard is still there, as you can see from his current LinkedIn profile. This is such a fun memory, really symbolic of some of the best times at eBay… I’m really happy that I’m getting a chance to capture it here. From time to time, I post the technical exploits of my friend Eric here. I remember the attention he got a while back for hacking his MacBook Pro to support a RAID configuration. Well, Eric has managed to extend that experimentation to a pair of new OCZ 120GB Solid State Drives (SSD). The blog post is here, with detailed photos and benchmarks. A must see for any digital photographer and/or Mac geek who is into performance-pushing customer expansion. The OCZ drives arrived in a plain package, but once the outer cardboard layer was removed, it was clear that OCZ had taken some packaging cues from Apple. The inner packaging was beautiful, and made it clear that you had just purchased a quality product. Even though it was pretty, I don’t like excessive packaging and would have preferred something simple and biodegradable. John gave a great presentation today at Stanford about Mozilla. He’s graciously shared it on Slideshare, so I’m sharing it here as well. How distributed is the decision making in your organization, really? How much do you empower small, cross-functional teams to execute? How much does your organization really encourage active discussion, debate, and communication? Does that discussion, debate and communication end within your company walls, or does it extend to your broader community? How dependent is your organization on the “chain of command” vs. recognized experts and groups both within and outside your organization? Does your organization understand the difference between inclusive discussion and democratic decision making? I’m not sure I fully understand the interplay between these in all cases. The presentation is definitely worth reading if you are interested in Mozilla or distributed organizations. It’s also worth reading if you want to be able to use the word “chaordic” in a sentence. 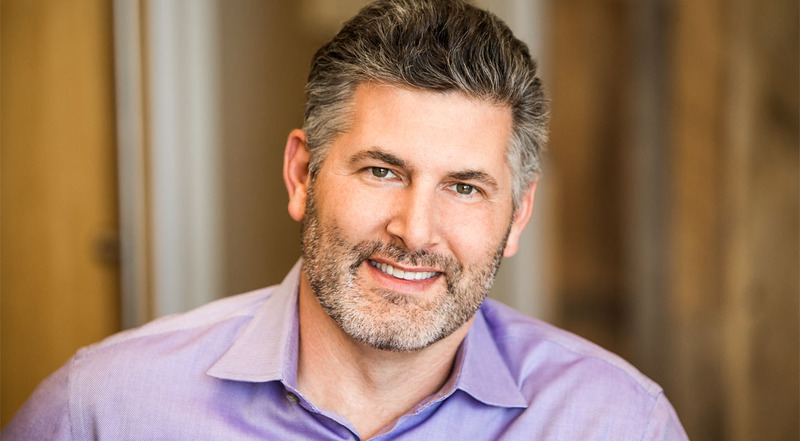 If you missed the 39 articles currently on Google News on the topic, Mike Schroepfer announced today that he has accepted an engineering leadership position at Facebook. Mike is the current VP of Engineering at Mozilla, and has been there for about three years. Here are Mike’s comments, direct from his Mozilla blog. In my opinion, of course, this is a huge win for Facebook, as they get a top-notch engineering leader to join their team. It’s bittersweet, of course, because I’m also a huge fan of Mozilla and the team over there. I think Mike summed it up best in his post by expressing confidence in the ability of the Mozilla team to continue to innovate and deliver on their mission and vision. We just got through an amazing launch last night at LinkedIn. New homepage, new site-wide navigation, new Status feature, and countless other small enhancements. This is a very funny blooper reel that Elliot & Mario recorded while trying to film the video to launch the new Homepage. It was so funny, they played it for the entire company at lunch yesterday. He has become cult phenomenon. I can’t tell you how proud I am to have Elliot on our team. Enjoy.